Which Type of Postal Scale? 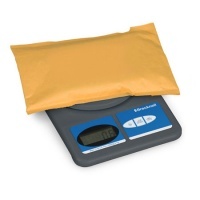 The kind of postal scales you buy should depend on the size and weight of the mail you send regularly. The capacity range from 250g to 3000kg and the weighing platform sizes vary. Firstly you have to be clear as to where you want to use the postal scales, whether it is for use in the home, office, post room or warehouse. Letter & Parcel scales are generally used to work out the weight and cost shipping companies will charge to deliver our letters and parcels. Parcel scales can weigh up to 600kg in capacity and can be as accurate as 1g, generally these scales are powered by battery and mains and hence are portable too. Using high quality, accurate letter and parcel scales are vital to ensure you are paying the correct postage for your letters and parcels. 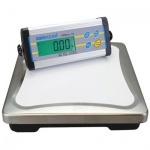 Warehouse scales are strong and durable and most come with a digital or detachable digital display which are easier to read and ideal for large bulky items. It is very important that you understand what you will be using the scale for, how big or heavy your parcels are and the height of the scale, as you may have heavy items which will be difficult to lift, therefore a floor scale would be best. Identifying the purpose for which you want to buy a specific warehouse scale will help you to invest in the right one. Pallet scales are used to weigh pallet loads of all sizes, the maximum capacity pallet scale available from Our Weigh is 2500kg. Pallet scales combine accuracy with durability to ensure they can be used in all industrial environments. 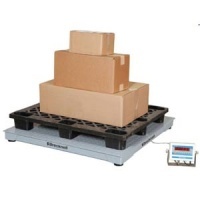 Pallet scales are important in transportation and manufacturing companies. There are in fact numerous kinds of pallet scales available as per your choice. Buying postal scales including letter scales, parcel scales, warehouse scales and pallet scales at Our Weigh is very convenient as you can compare different products and you will always receive high quality products at competitive prices. There are many different brands available such as Salter Brecknell, Adam and Total postweigh all offering high quality products.